Do you share your birthday with famous people born on February 4? IF YOUR BIRTHDAY IS ON FEBRUARY 4, then you are an Aquarius who pays attention to the small print. It’s hard to get anything over on you. You like to have everything in place. Famous people born on February 4 are just a little different than most. They are just ahead of the times, my dear. They have the self-control of a brick wall but they are a rational person. They tend to form relationships that last but they are not very close with most people. They keep their life hidden from the outside world. This can also make it hard for them to find a soul mate. 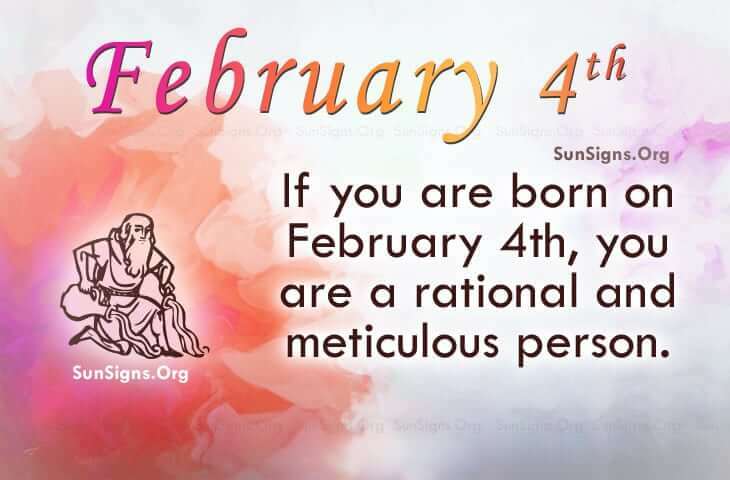 If you share this February 4 famous birthday, then when you do find a companion, you tend to be a bit over zealous and this can push people away. When it comes to their health, they take this seriously but they are not immune to illness. Do as mother says and remember to eat your veggies and take your vitamins, dear. IF YOU ARE BORN ON FEBRUARY 4th, the famous birthdate horoscope predicts that you are an Aquarius that is honest and straightforward. These famous people are innovative and sensible but private. Their worse fear is losing control but they can be jealous sometimes. They need to take time out of their busy schedule to relax. They love making money but use it make others happy.